Rockstar Games are offering Grand Theft Auto Online players the opportunity to prepare for the upcoming Heists update today with an exciting double rewards weekend for all console platforms. Those on the PlayStation 3 and Xbox 360 versions can enjoy the full double RP and cash rewards weekend from January 2nd to January 5th, while those on the PlayStation 4 and Xbox One platforms can enjoy the additional incentive of massive 30-player battles and races. 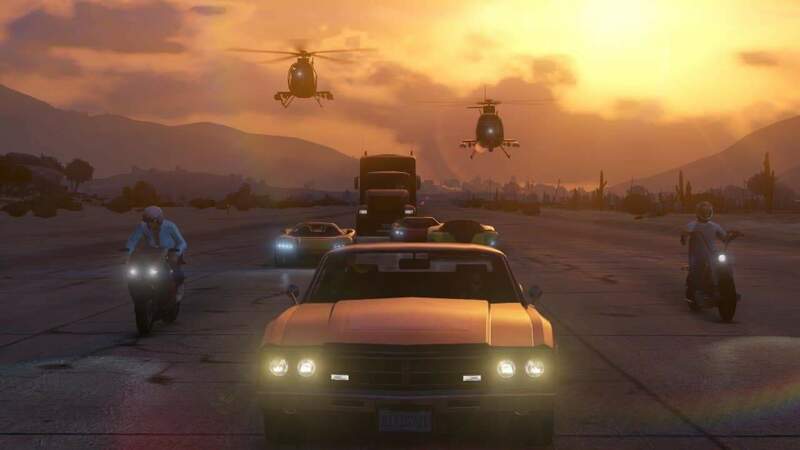 The double rewards event rides the tail of the recently introduced Featured Playlists update, providing players with ready-built playlists of chaos that include modes from all of GTA Online’s offerings including a Race, Deathmatch, Capture and Last Team Standing job. Players can jump straight into the action with the Featured Playlist button on the Grand Theft Auto V launch screen while PlayStation 4 players can launch into the new option directly from the PS4 home screen. Those that picked up the new vehicles from Grand Theft Auto Online’s Festive Surprise event are given an additional treat as all Races included in the new Featured Playlists include those designed for Muscle and Sports cars, including those recently introduced.